In the land of electrified vehicles, one plug-in hybrid stands alone, with a full 53 miles of range as well as hatchback versatility and surprising electric driving dynamics: the 2018 Chevrolet Volt. What’s New for the 2018 Chevrolet Volt? Mostly, the Volt carries over from 2017 to 2018 unchanged, but with some feature shuffling. That means a new Driver Confidence Package with blind-zone monitors, rear cross-traffic alert, and rear park assist; a urethane steering wheel on the LT trim level (previously leather); and the loss of four exterior colors but addition of three new ones. The exterior of the 2018 Volt is as it was in previous model years, with contoured body lines to bring it into the Chevy family and a full set of LED lights all around. 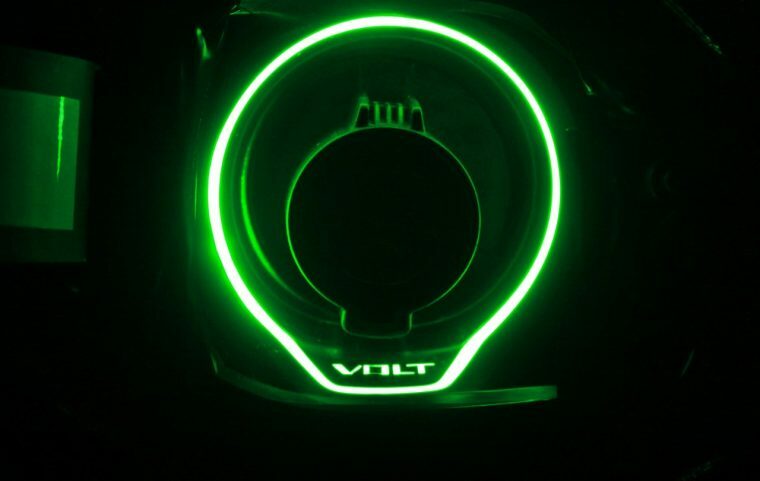 With the color shuffling, the Volt now comes in five shades of black, white, and silver, plus Green Mist Metallic, Cajun Red Tintcoat, and Kinetic Blue Metallic. 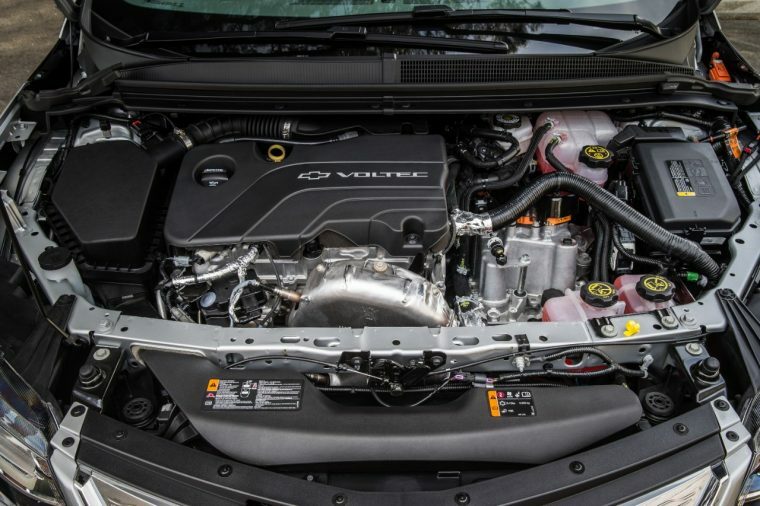 The 2018 Volt is powered by a Voltec plug-in hybrid electric powertrain, which couples a highly efficient 1.5-liter four-cylinder engine with a pair of electric motors to produce 149 hp and 294 lb-ft of torque. Since it is an electric vehicle, the Volt benefits from instant torque and a 0-to-60 mph time of 8.4 seconds that make it surprising, fun drive. The 2018 Volt’s plug-in hybrid powertrain lets it move solely using the power of its battery for an EPA-estimated 53 miles, after which time the engine kicks on, delivering another 377 miles of range (again, EPA-estimated) with 42 mpg combined. 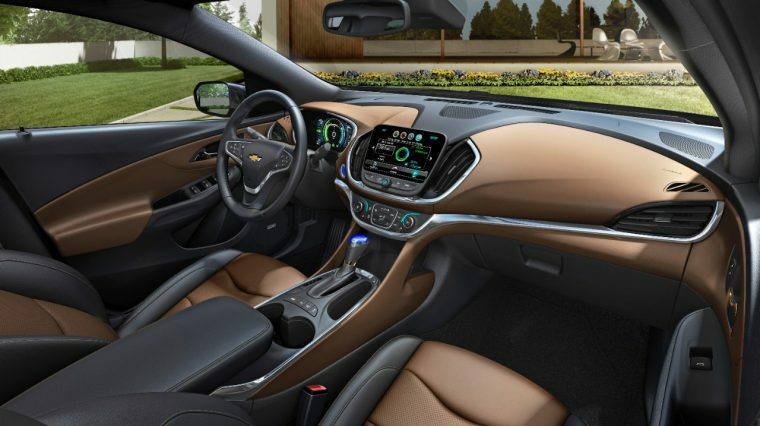 The Chevy Volt has seating for five (although fitting three adults into the back seat would be an uncomfortable proposition, as the center seat’s foot room is taken up by part of the Volt’s battery). The Volt is a hatchback, though, so it offers good trunk volume with 10.3 cubic feet of space. 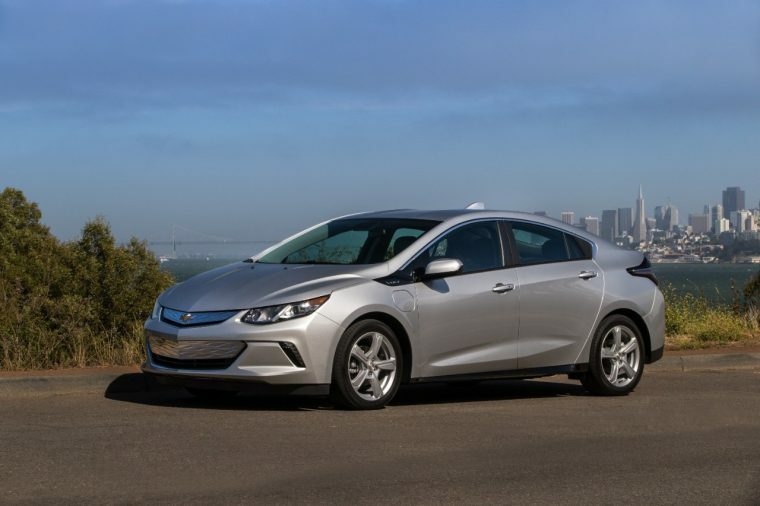 The Volt offers a variety of optional driver-assist and active safety systems, as well as General Motors’ Teen Driver software. As for safety ratings, the NHTSA awarded the Volt a five-star overall crash test rating, and the IIHS gave the Volt its top ranking of Top Safety Pick+, which meant top marks in all crash tests, “Superior” front crash prevention with optional equipment, and a coveted “Good” rating for its headlights.